In part one of Why Launching A New Website Is Like Delivering A Baby I outlined the similarities between delivering a child and launching a new website. As odd as the concept sounds, the two topics are quite similar. In this blog I will continue the analogy and address steps that a business owner launching a new website should consider to ensure a predictable and smooth process. Just as expecting parents would prepare for the birth of their child, those launching a new website also need to take several steps to prepare. Following these 4 steps will eliminate uncertainties and will drive more value from your site. Be diligent in selecting a digital marketing agency to partner with. Just as you should not rush into choosing a spouse...don’t rush into choosing a digital marketing agency to partner with. Take time to plan out your website. Determine what the goals for your website are. Clearly define what you want the website to help you – as a stakeholder – to accomplish. Promote the launch of your website…create a buzz. When a new baby is born many parents send out a cute baby announcement to their friends and family. Similar to sending out a baby announcement you should also send out a new website launch announcement. Help your website grow and mature by adding dynamic and valuable content. A baby grows through time and a healthy diet. Adding good content (diet) over an extended period of time will help your website grow. Many website owners will spend a large amount of time and capital to launch a website and then let it sit idle for three years before they come to the realization that the website is no longer valuable. After years of doing nothing to drive traffic to their site they assume that they need to pay a digital marketing agency to completely redesign a new site. In this situation the website owner did not have a plan in place to effectively leverage their website. Launching a website and not taking proactive steps to drive traffic to the site is quite possibly the most common situation that we discover when a potential client contacts us for digital marketing assistance on their website. This situation is no different than delivering a baby and then not attending to it. 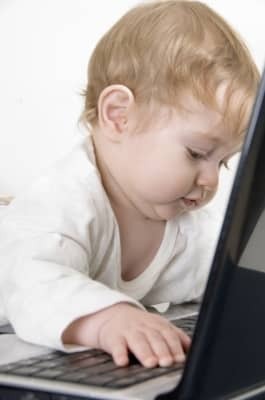 A website, like a baby, needs continual attention and support. You should not simply launch a new website and “hope” it succeeds. Inbound marketing practices exist so that a website owner does not have to “hope” their website receives traffic. I’ll conclude this blog in part three by providing additional items to consider when launching a website. Website launches are exciting times for business owners. Proper planning and preparation can make website launches both exciting and hugely rewarding to a business owner.